Sales plummeted between 5.5 and 8 percent from a year ago due to the weak economy and winter storms that snowed in shoppers across the nation, according to preliminary data. Apply the war paint and grab those reusable Going Green shopping bags: It's time for the after-Christmas sales. 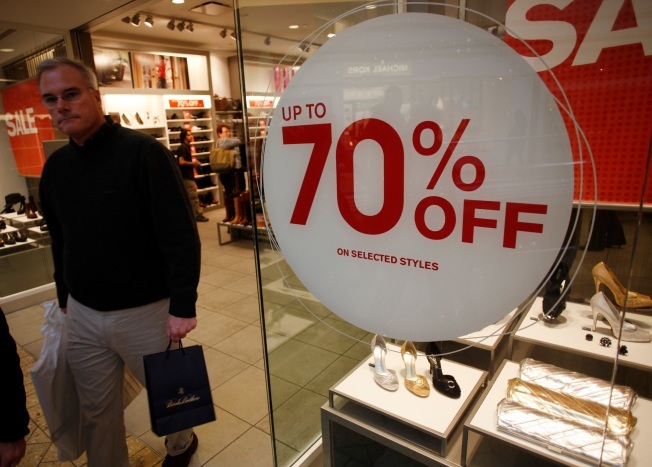 Many retailers are offering deep discounts to make up for sluggish sales through the year. That means you can find some great deals out there, but make sure you know where to look. * JCPenney opened at 5:30 a.m. Friday and offered 100 door-buster specials, including 50 to 60 percent off private-label clothing for men and women, as well as 75 percent off Christmas decorations. * Target is offering clearance products and promotions of up to 75 percent off on select clothing, furniture, electronics, holiday décor, and more. Consumers can also save up to 50 to 70 percent on bath and bedding. * Toys "R" Us said that some of the items that will be available through Jan. 3 include 75 percent off a 1.60 Scale X-Trek Pro 15' Race Track Set; 60 percent off certain table games; 50 percent off some Hannah Montana Dolls; and 20 percent off all iPod cases and headphones. * Home Depot offers 50 percent off of all holiday decor beginning Friday. * Barnes & Noble offers thousands of books at 50 to 90 percent off for its "After Holiday Warehouse Clearance Sale." Discounts are also available on music, DVDs, toys, video games, journals, calendars, and albums. * Wal-Mart has additional savings, with sales on select electronic games, $60 savings on select HDTVs, and reduced prices on home and office needs. * KB Toys has launched a liquidation sale at all 461 of its KB Toys, KB Toy Outlet, KB Toys Holiday, and KB Toy Works stores. Sales at KB Toys stores will begin at 40 percent off regular prices. * Bath and Body Works is having an after-holiday sale of up to 50 percent off on products including body lotions, shower gels, hand creams, and fragrances. * Circuit City offers big discounts on TVs, digital cameras, home theater systems, computers, computer accessories, GPS, music, movies and games. * Kohl's is having a huge clearance of 60 to 80 percent off on men's, women's, and children's clothing. * Neiman Marcus has sales on women's, men's, and children's designer apparel, as well as designer shoes, handbags, and jewelry. Neiman Marcus will be offering an extra 40 percent off already-reduced prices. * Macy's is offering clearance prices up to 75 percent off starting on Friday. * Sears offers a 70 percent discount on some fine jewelry. * Target will discount some clothing by 90 percent and certain toys by 50 percent. * Bloomingdales offers savings up to 75 percent in what the retailer is calling "the style finds of a lifetime." * Sears and Kmart are offering a $25 gift card with a set of new tires as well as sales on a garage-door opener, tools and tool storage items, home electronics and fitness equipment. * Overstock.com is offering a 10 percent discount on your total purchase during this holiday season. * Dell Computers is offering a special holiday sale that features a fairly recent model laptop for just $499. If you find any more deals out there, let others know by adding them to the comments field.